Four Houston police officers were shot and another suffered a knee injury in southeast Houston while they were serving a narcotics warrant. Two of the officers, ages 54 and 40, are in surgery in critical condition. Both were reportedly shot in the neck. The other three injured officers are listed as stable. One of those officers is expected to be discharged from the hospital. None of the officers' names have been released. Houston Police Chief Art Acevedo says narcotics officers, with patrol officers on the scene to provide support, announced themselves at the suspects' home in the 7800 block of Harding at about 4:15 p.m. Monday. Immediately, officers were under fire from one or two suspects inside the home. 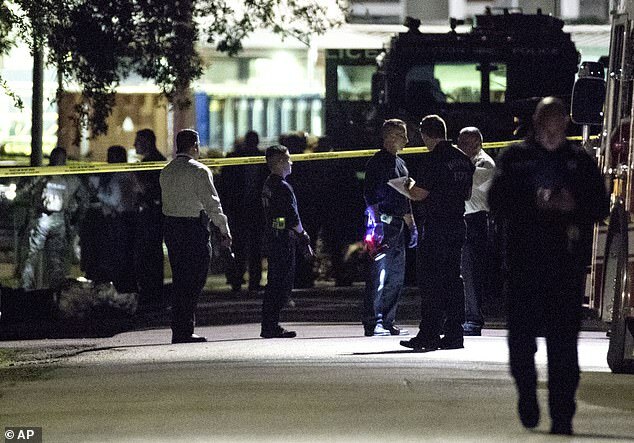 Houston police confirmed two suspects were killed in the exchange of gunfire. Police said a tip from a neighbor that the suspects were dealing drugs, including black tar heroin, led officers to the house. Gov. Greg Abbott said the shooting highlights the "service and sacrifice our brave men and women in law enforcement make every day to keep us safe."